See SSUSA Founder Lawrence Cann behind Sir Alex Ferguson and besides Darren Fletcher, Edwin Vander Sar, Paul Scholes and Ryan Giggs. 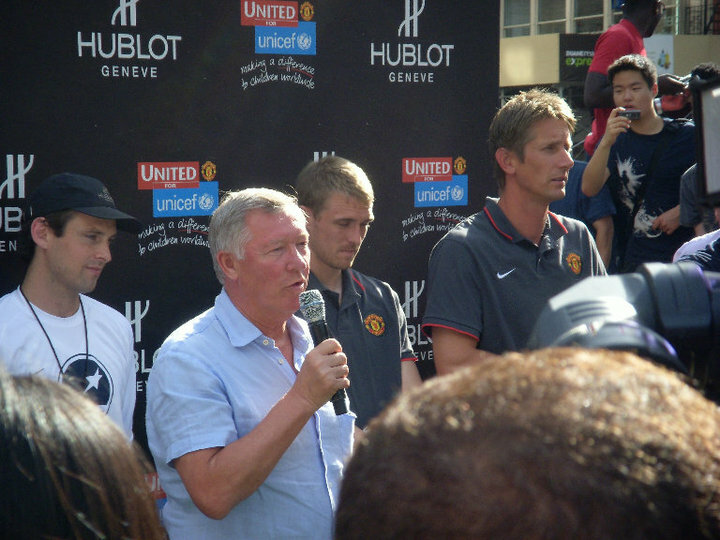 As part of the Promotion Factory, Lawrence, for Street Soccer USA, introduced Man United in front of a a huge crowd in midtown NYC. The event raised money for UNICEF and was hosted by Hublot.